A mysterious third Green Goblin made his appearance in the Spiderverse in Amazing Spider-Man #176-180. What was the third Green Goblin trying to do? Well, he's going to kill Spider-Man and unite the criminal underworld...sound familiar? 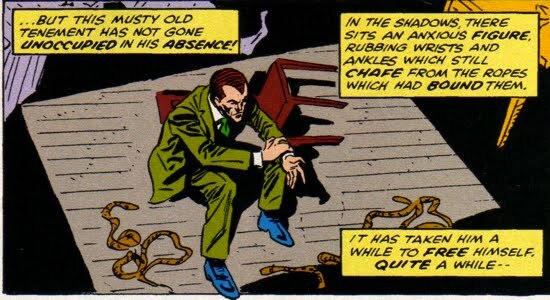 In Amazing Spider-Man #176, Peter went to check in on his friend Harry Osborn, who had recently been “strung out” because his fiancee Liz Allan had left him. Peter looked for Harry at the office of his psychiatrist, Bart Hamilton, but when he arrived the office had been seemingly ransacked. Peter then went over to Harry and Flash's apartment (not sure why he didn't go there first) only to find Flash under duress from the Green Goblin! Assuming that it is Harry, Peter first tried to reason with him. But the Goblin did not listen and he threw Flash out of the window. Spidey was forced to save him while the Goblin escaped. Back at his hideout it was revealed that the Green Goblin has a captive, whom he has placed a mask over his face “because he cannot stand to see it sniveling any longer.” The Green Goblin then attempted to consolidate the separate NYC gangs under his power; he targeted Silvermane first. After neutralizing some of Silvermane’s men, the Goblin asked them who he should take down to prove his worth...the gang’s response: Spider-Man. Soon after, the Goblin was able to track down Spider-Man and capture him, but Spidey was able to escape when a bazooka blast from one of Silvermane’s men freed him. 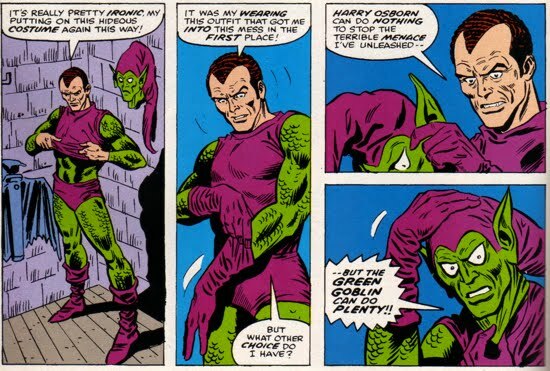 In Amazing Spider-Man #179, the Goblin's hostage freed himself from detainment and was revealed to be Harry Osborn. Harry then donned the Green Goblin attire in order to combat his kidnapper. Meanwhile Spider-Man was able to unmask this new Green Goblin in Amazing Spider-Man #180. The Goblin's identity: Harry’s psychiatrist Bart Hamilton! 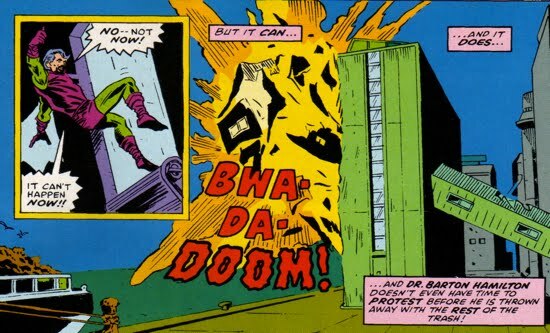 Hamilton explained that he placed Harry under “hypnotic regression” and learned the complete history of the Green Goblin. After checking out Harry’s claims, Bart stumbled upon a Goblin Hideout and assumed the role of the Green Goblin in the attempt to understand the criminal from the inside out. Bart placed Harry under mind control and had Harry take pictures of Spider-Man and his clone. Those photos were sent to JJJ as a means of blackmailing Spidey (which played out in Amazing Spider-Man #169). Harry and Peter worked together to defeat Hamilton, but like most Goblins, Bart had one last trick up his sleeve (literally). Hamilton pulled a powerful explosive from his cuff and demanded that Harry apologize for refuting the Goblin mantle. But before Bart could get his apology, he fell back off of a conveyer belt as his bomb exploded...killing him instantly. At the conclusion of Amazing Spider-Man #180 Harry reunited with fiancee Liz Allan.